My second day in Cape Town happened to be my birthday so I was keen on having a fantastic day touring the peninsula. But I was still bothered by the nagging dilemma about whether it’s better to guide or not to guide? Today’s plan was to tour the Cape Peninsula so we headed south from the city and made a quick stop at an overlook to peek at the beach at Muizenberg. If yesterday’s tour was about the history of the country, today Garth started dropping some weird and wonderful bits about life in South Africa. For example, where we stopped, there was a friendly lady sitting in a booth, scanning the ocean. She’s a shark spotter. When she sees a fin, she phones it in and the beaches are cleared so that no one gets eaten by a great white shark. Like in Jaws. But for real. This is not the only unusual Cape Peninsula job. We also passed baboon monitors sitting in the bushes. They shoot paint balls at the simians to keep them from bothering the patrons at beachfront restaurants. History facts tend to go in, swirl around, and shoot straight out of my head but this kind of miscellany sticks with me. I must have some type of glue trap in my brain that attracts and holds nonsense. It’s the only explanation for why I still know all the lyrics to “Seasons in the Sun” but have to Google “Who was the 5th US President?” (Psssst. It was Monroe.) But silly bits make me happy so I was thrilled when we entered Simon’s Town and saw the picture of a dog with an old-timey sailor’s hat on a wall. “That’s Just Nuisance,” said Garth. 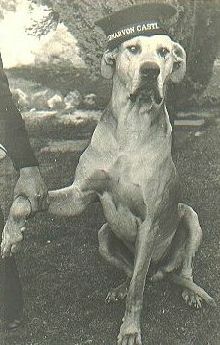 Simon’s Town is South Africa’s largest naval base and back in the 30’s, a large Great Dane attached himself to the sailors in town, following them for walks, and onto the ships, and often blocking the gangplanks, causing them to nickname him Nuisance. He had the habit of boarding the trains as well, which made transportation officials unhappy. When they threatened to put him down, the sailors petitioned for his enlistment in the Royal Navy with the full name Just Nuisance. His rank, Able Seaman, entitled him to a cap and daily rations. Just south of Simon’s Town, we parked and walked to the Boulders Beach entrance. 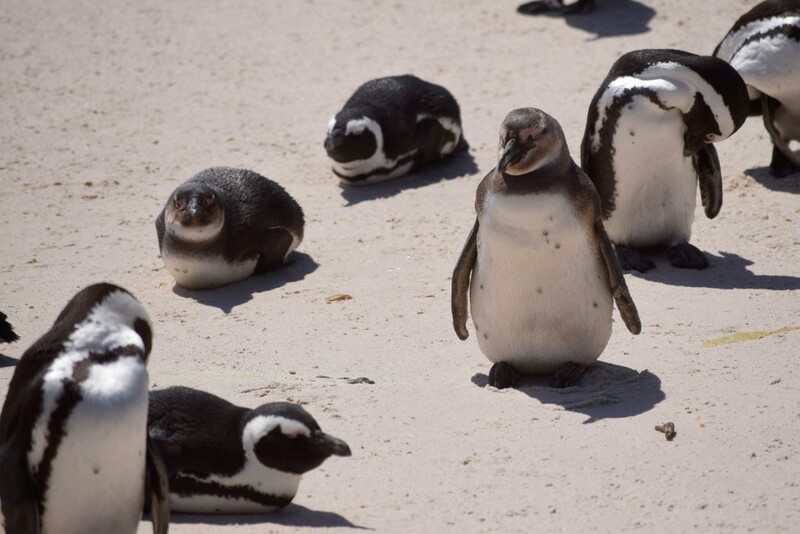 It’s a protected habitat for approximately 2500 African penguins. The parks service maintains a boardwalk so you can walk into the colony without disturbing the birds. I heard some little girls cry out as they spotted their first penguin and then I squealed even louder. “They’re so CUTE!!!! !” Gale force winds were beating the peninsula, so many of the little guys and gals were paired up with their backs to the breeze. Others were sitting on their nests. Garth confirmed most of what I’d learned in “March of the Penguins” – they do mate for life and have a strong homing instinct. He also noted that the spots on their chest are unique, patterned birthmarks. I could have watched them all day. However, the end of the world was waiting. I mean the physical end of the African continent, the Cape of Good Hope. Personally, it is the southernmost destination I’ve visited. (My northern point? Reykjavik, Iceland. And, before I get corrected by a geographer, the CGH is not the tip of the continent; there’s another 150 kilometres off to the southeast, but, this was good enough for me.) Driving in, I gazed at the beautiful fynbos, the distinctive foliage Garth told me about the day before. Despite the gale-force winds buffeting the Cape, the Flying Dutchman funicular was operating and whisked us to the base of stairs that led to the Cape Point Lighthouse. We climbed up and took a gander at the view Portuguese explorer Vasco da Gama had back in the 1490s when he became the first European to sail between Europe and India, establishing the lucrative spice trade route. The coast is spectacular and very similar to northern California vistas. Our lunch stop was next, but on our way out of the park, I finally got to see the mischief-makers who cause so many problems at the restaurants. Baboons! A mom and her family were happily grooming one another alongside the road. We watched through the closed car windows because they apparently will seize any crack to attempt an entry. Garth noted that his children were getting haircuts in preparation for their return to school after the long Christmas holiday and it looked liked this family was doing the same. 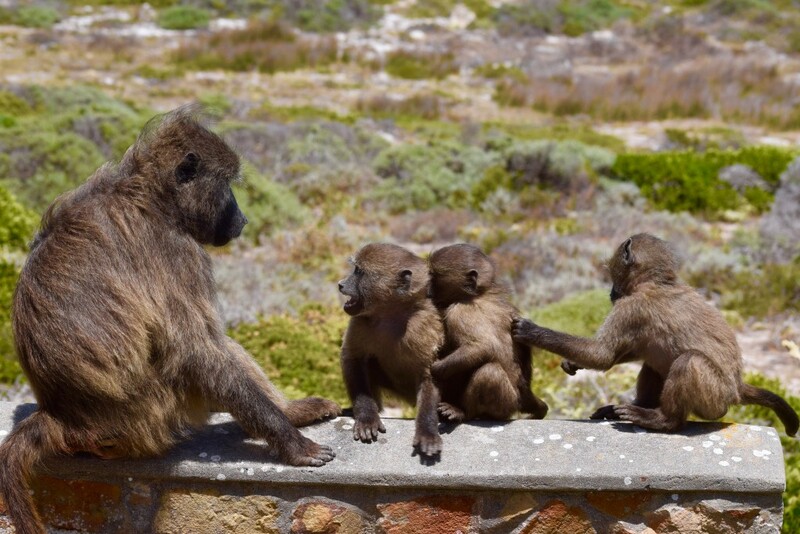 We bid the baboons adieu and headed off to Noordhoek, another lovely coastal town, for lunch at the Food Barn. Chef Franck Dangereux (Okay. Love it. I may adopt it as my nom de plume.) operated the 28th best restaurant in the world, Cape Town’s La Colombe, but ditched it to try to achieve some life/work balance. The Food Barn projects elegant rustic charm and the food was yummy. It’s set in a quaint little farm village with shops. Currently, the rand, the South African currency, is very weak (16 rand to one US dollar). So a splendid risotto with prawns was $10 USD. To put things in perspective, Food Barn’s 4-course tasting menu with wine is 510 rand or $32 – a 3-course lunch without wine at Eric Ripert’s Le Bernardin in Manhattan is $85. Another reason to visit South Africa – NOW! 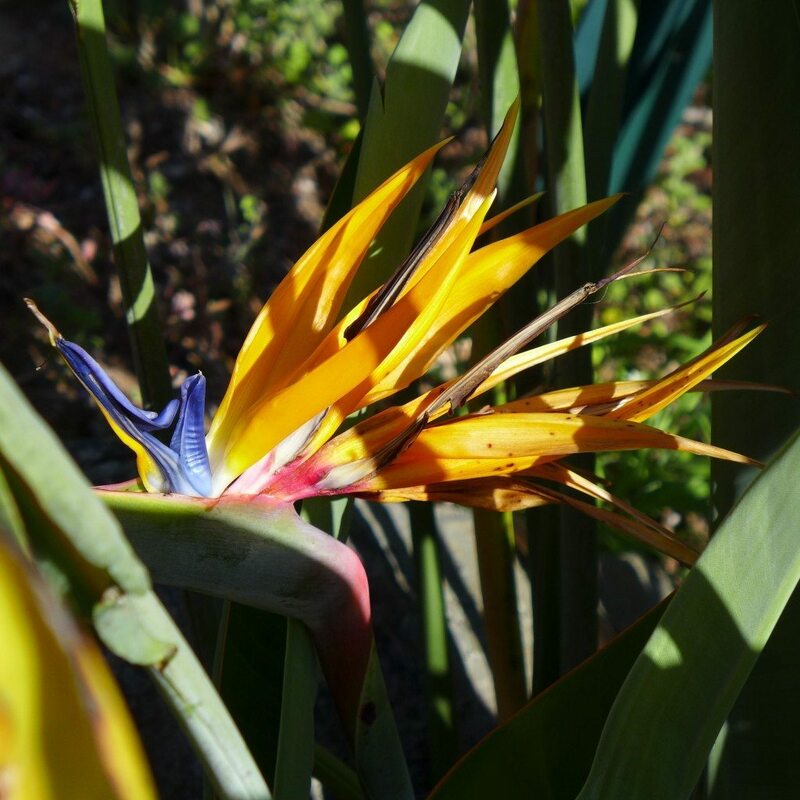 We returned to the car and set off to explore the beautiful botanical gardens at Kirstenbosch. Featuring native plants including endangered prehistoric cycads, the garden is situated at the base of the mountain and, as you wander through the exhibits, you catch glimpses of the city below. 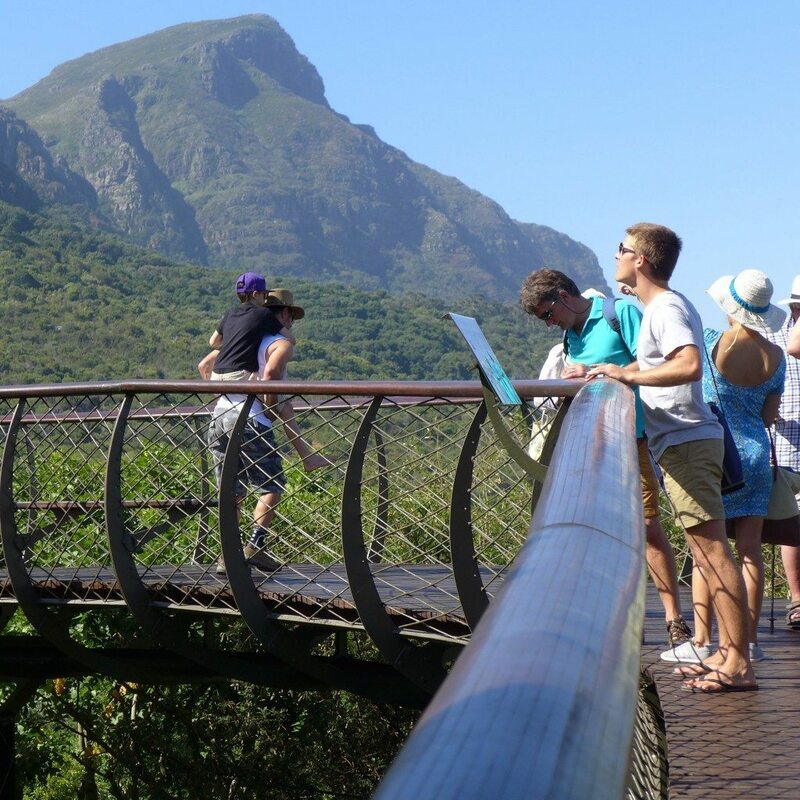 A charming new feature is the Boomslang or tree snake, a mid-air boardwalk designed to resemble a snake skeleton that winds in and out of the treetops. As we were leaving, families were arriving with picnic hampers to claim prime lawn spots for the evening’s outdoor film screening. Saying goodbye to Garth was sad. I’d really enjoyed his company and felt he’d provided a depth to my visit that I would not have achieved had I frolicked through the city in my usual willy-nilly style. My only regret was that I wished I’d had another 3 days. I wanted to spend a day at the beach, swimming in the beautiful waters, hoping that the shark whistle didn’t sound. I wanted to picnic in the Kirstenbosch gardens and watch a film under the stars. Hiking down from Table Mountain would be a great alternative to a return by cable car. And shopping. Our touring days were full so the city’s terrific boutiques and markets were closed by the time we returned in the evening. As I’ve written before, I have a tremendous sense that each visit to a new place may be my first and last so I like to take bites out of as many things as I can. Having a guide by my side helped me achieve that goal. Footsteps to Freedom – Highly recommend this tour agency. I spent two days with owner Garth Angus who was professional, knowledgeable, and personable. They offer two daily scheduled group walking tours, a number of private tours, and are happy to work with you to design a personalized itinerary. Rates start at R260 per person. Cape Heritage Hotel – Boutique hotel in the heart of the city. Features 17 individually designed rooms (mine had a very large balcony overlooking the dining courtyard) and eclectic artwork in the public spaces. The friendly and helpful staff will assist in every way, including surprising you with a birthday song and champagne! Current rates begin at R2,390 per night, including breakfast. Table Mountain – If Cape Town’s the dining room, then Table Mountain is, well, the table. You’ll always have a great view of it from the streets, but to really appreciate the city, you need to get to the top. If you have time, a hike’s the way to go. But for the rest of us, a quick trip up on the rotating cable car is fun. Buy your tickets in advance online to avoid the long queue. 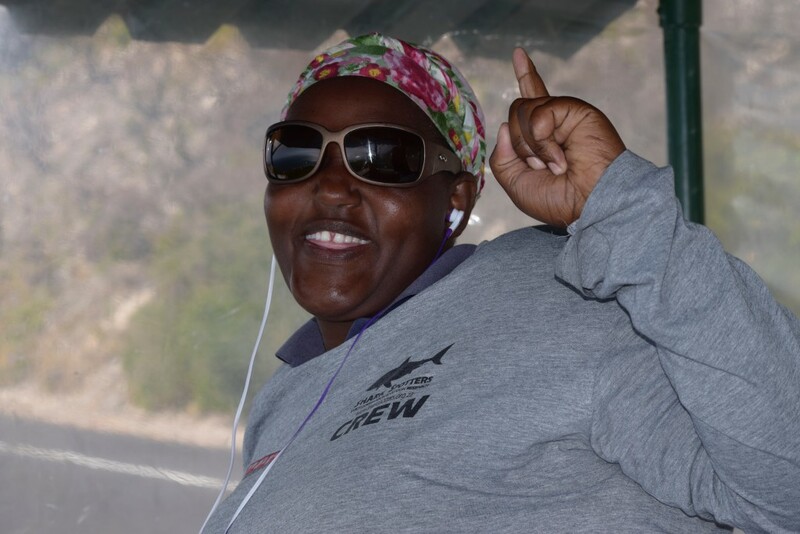 Rates: Roundrip adult fares are approximately R240. Bo-Kaap – Start your tour of this colorful neighborhood at the Bo-Kaap Museum on Wale Street to learn about its origins and the people who live here. Stop in to smell the spices at Atlas Trading and consider taking a cooking lesson to learn a thing or two about Cape Malay cuisine. 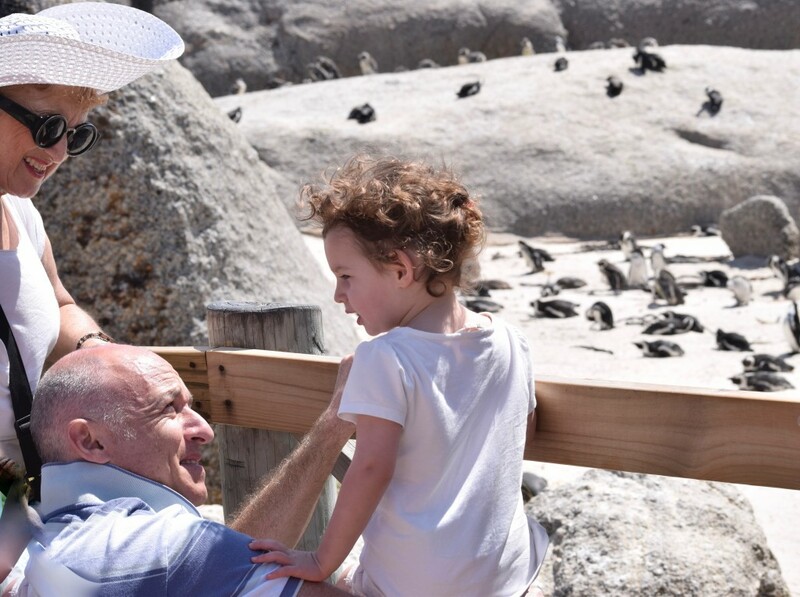 Boulders Beach – Don’t miss seeing the penguin colony at Boulders Beach, located just south of Simon’s Town on the east side of the peninsula. Adult admission is R65. 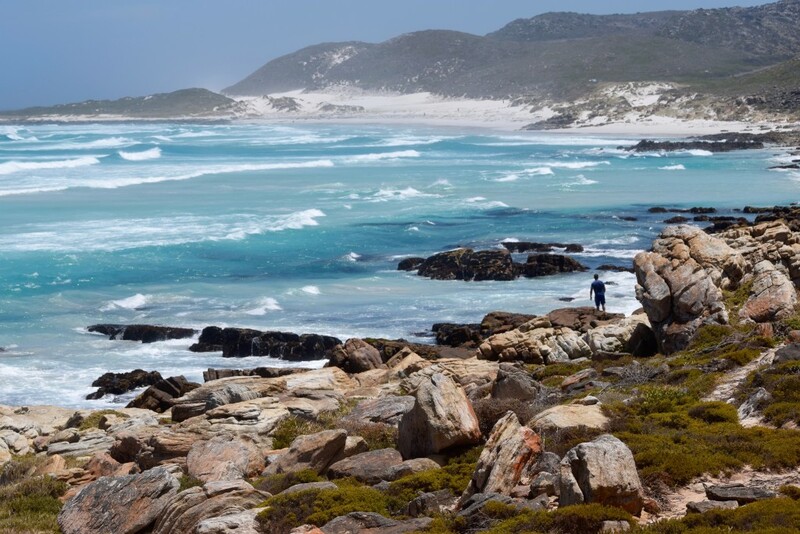 Cape Point – This large park is open daily and offers many opportunities for outdoor enthusiasts including sea kayaking, mountain biking, swimming, or simply take a walk along Shipwreck Trail. Park adult admission is R125; funicular rides to the lighthouse are extra. 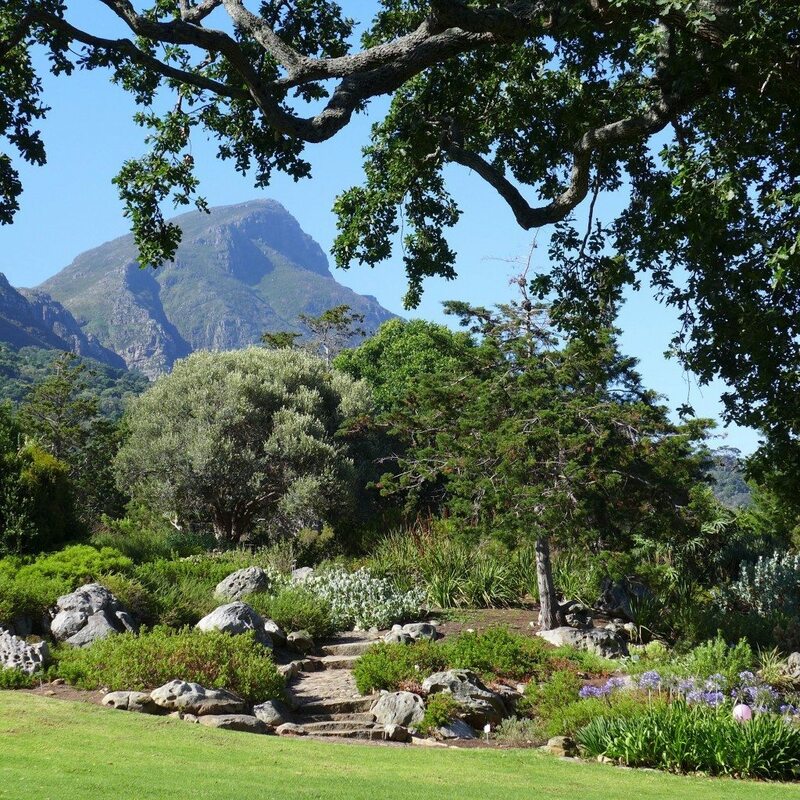 Kirstenbosch – Acclaimed as “the most beautiful garden in Africa”, it features spectacular views of both the city and the mountain and the opportunity to get up close and personal with exotic plant species. Adult admission is R55. Great second chapter! You have brought part of a world I will not see for me to enjoy. Your first fan. What beautiful scenery — love your photos and story! Thanks for being my virtual tour guide, Open Suitcase!! I love this! Thanks for tagging along. It’s my pleasure!